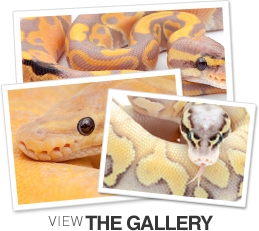 I will be responsible that the snake that you purchase will get there safely and healthy. I will refund all snake sakes as long as the customer contacts me within 24 hours and lets me know that there is a problem. I guarantee that all snakes that I ship will be healthy and thriving. After they are in the customers care my responsibility ends. The customer is responsible for his and her husbandry after they take possession of the animal. I have no problem providing advice to my customers on the best way to care for their snakes. If the customer is unhappy with snake they need to let me know within 24 hours otherwise I assume you are happy with the purchase. I ship via next day air via FedEx And ShipYourReptiles. I also offer payment plans on the snakes that I produce. I don’t offer them on any of the animals that I broker. They require payment in full upfront. I do take payment plans on animals that I produce. I require a 20 percent non-refundable deposit. If at any time you can’t go through on the payment plan I do keep this initial 20% payment. I will work out payment plans with each individual customer but I would like to keep them to 3 months. I will go longer on orders that are $5000 and more. My pricing is very flexible and I will work hard with my customers to make sure that they get a fair price on the snake that they purchase. You will find that my prices are very fair. Again thanks for doing business with Brad Boa Reptiles. We appreciate your business and look forward to repeat customers, I know your experience with us will be a good one.